Platinium 100 Series Pyramid - ON SALE! - FREE Shipping! 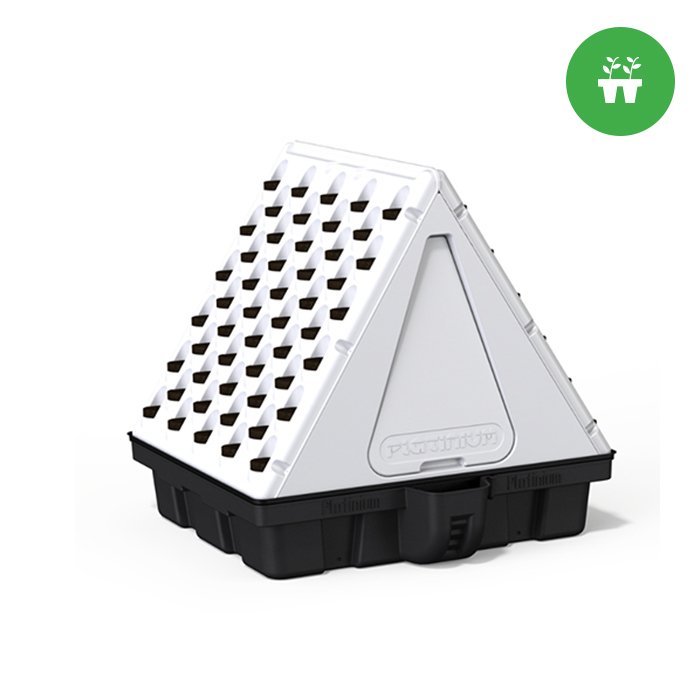 If you are looking for a device that is compact, easy to use and ensure improved growth of your plants, then check out the Platinum 100 Series Pyramid. The new Platinum pyramid is all about helping you save space and enhance produce. It is a self-contained unit that has been specifically made to help you grow 100 plants! Whether you are using 2" net pots or 3" neoprene inserts, the Platinum 100 Series Pyramid gives your plants their needed nutrients efficiently and consistently. Thanks to the rotary sprayers along with the Xtrapump, you don’t have to worry about maneuvering the Pyramid constantly and the task becomes automated and much easier. As a result, your plants grow to their full potential. With a little bit of effort, you can optimize the harvest of your plants and ensure that you save space too. The Platinum 100 Series comes with a lot of benefits and features. It takes the pyramid system of growing plants to the next level all together. It has the same footprint as the other earlier devices from this series, which makes it eco-friendly too. Here are some additional benefits and features that you can look at. It can help you grow up to 100 plants. The unique Hydroponics in the system ensures simplicity and efficiency. It is a 100% self-contained unit to grow healthy plants. It is space-saving and user-friendly. It offers universal bases and interchangeable accessories. It has easy fill reservoirs with removable lids. It features pump as well as all tubing. 360 degree sprayers are required for complete setup. It helps get maximum harvest in minimal time. It has 12 rotary sprayers and Xtrapump.